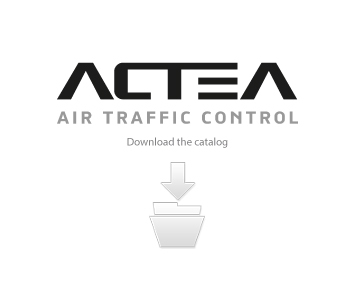 ACTEA Air Traffic Control represents the new generation of air traffic control consoles. 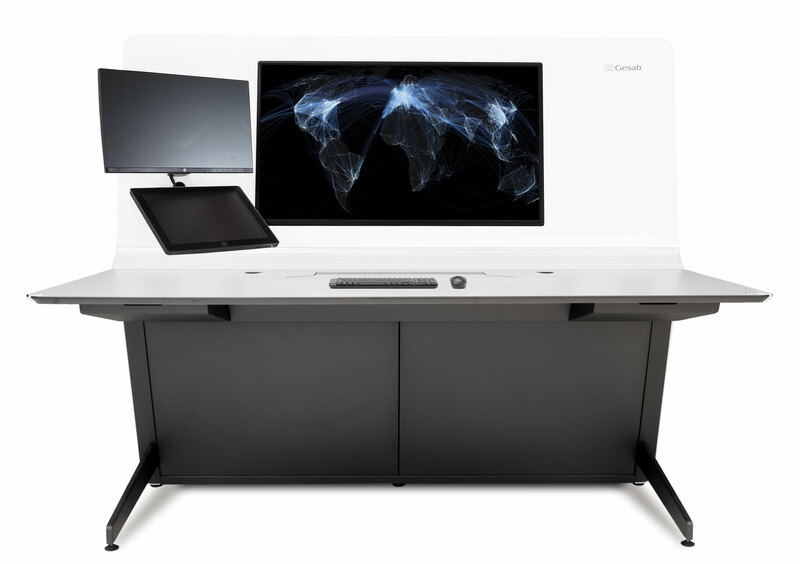 Designed to improve efficiency in the work centers of this critical environments, the ACTEA Air Traffic Control console combines design, innovation, technology and experience to embody the evolution of control and operation. We satisfy the needs of the operator in a unique way, offering high-level experiences. Space optimization through shapes of attractive design and great capabilities. We ACTEA ATC, we aim to obtain a clean and organized working space, free from distractions and, at the same time, with easy access to the different connections; we focused on improving ergonomics for the operator. We have developed a soft transition between the work area and the front panel through the Personal Hub, where the operator will find an area to interact with the different connections. The active and passive safety elements are distributed across the entire console. 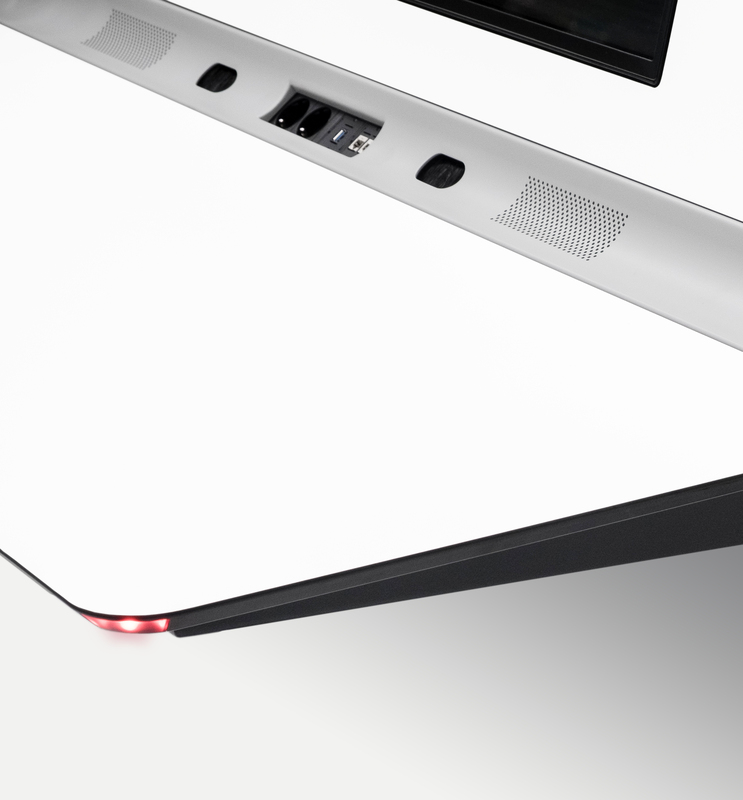 First, a LED device located in the ends of the consoles allows locating the console in the workspace at all times. Its round edges avoid possible accidents. In addition, the ACTEA Air Traffic Control is an innovative console designed with exclusive solutions that guarantee functionality and safety. Its innovative cooling system allows to keep the equipment inside the console at optimum temperature in order to withstand critical 24/7 work environments while offering top performance. This is achieved by a system that combines fans and membranes for proper circulation, expelling the hot air and allowing passage of colder air. It is a system that improves the global performance of the console and avoids overheating the system at all times: the console is always at the perfect temperature. 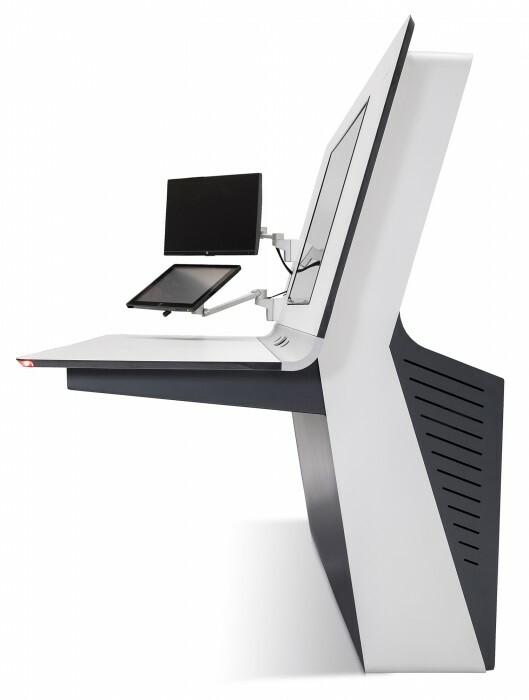 GESAB has designed a console with a simplified design and a unique structure that allows the operator to work in a space with clean and efficient lines. Its compact design is based on a structure of a single piece that paves the road for future control centers. Our air traffic control consoles have been designed to adapt to any operating need and function, including monitoring systems, frontal design and equipment integration. The extreme optimization of the space allows for a great equipment storage capacity with a comprehensive management of cables and connections. The design of the double-height central column offers a direct communication of the various external compartments, hiding equipment and cables. A console fabricated with the best materials to achieve a durable and trust-worthy result, as well as continuous operations. The ACTEA ATC has been designed and fabricated to achieve maximum durability and trust-worthiness. 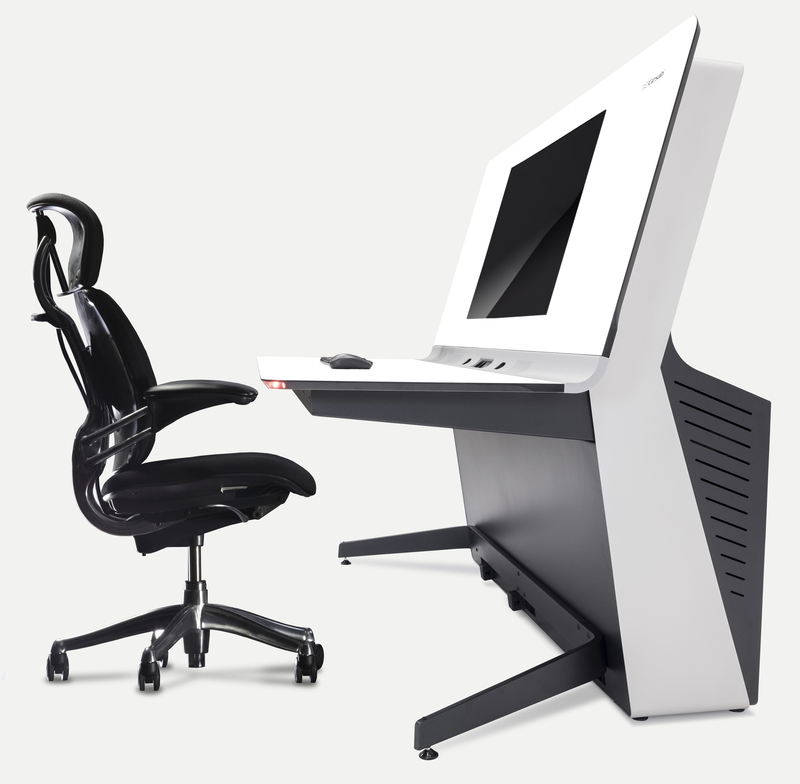 A sole chassis, high-quality materials and an ergonomic design guarantee the console’s continuous operation. Guaranty of future in your control center. ACTEA ATC is a console based on pure and clear lines, a clean and refined aesthetic that, in turn, optimizes the space. The Personal Hub completely integrated into the design allows the operator to reach, comfortably form his/her work space, the different accessories, such as an auxiliary connections area, speakers, energy, USB ports and even access to the cables in the inside of the compartment. The Personal Hub represents an equilibrium between maximum ergonomics and aesthetics, unifying the work surface with the frontal panel, offering total access to the operator. 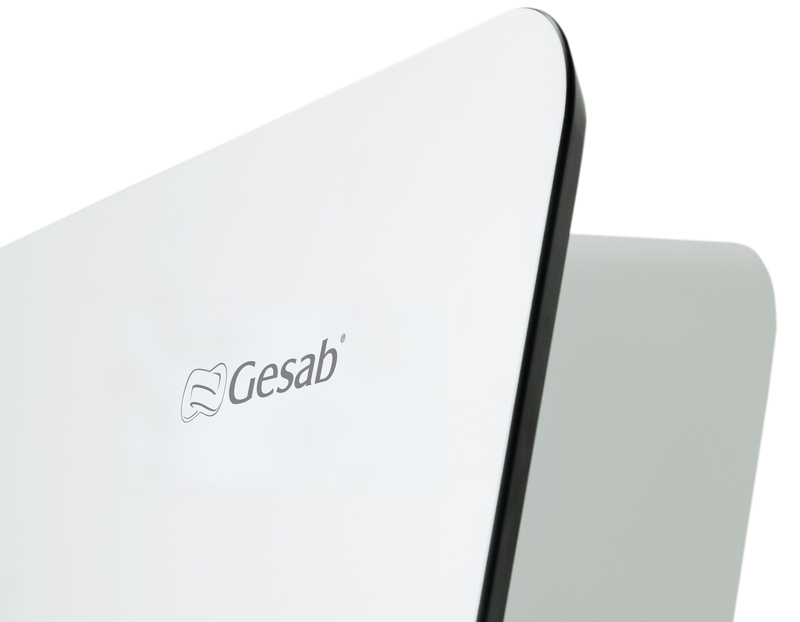 GESAB offers the possibility of creating a unique and exclusive product through the customization of its consoles. Design and ergonomics adapted to different workspaces and different needs. The customization includes even the operating functionalities in frontal design, visualization and equipment integration systems. The cable and connection management systems are custom made, as well as the integration of accessories. The customization is not only applicable to the needs of the different workspaces or functionalities; GESAB offers the possibility of adapting the consoles to the corporate image of the client. We, hence, create a unique and exclusive console for the client, adapting it 100% to the client’s needs. A common project for an exceptional result. The ACTEA ATC console was designed considering the operator at its core and prioritizing the integration of specific equipment and functionalities. The easy access to the different internal areas insures comprehensive operations of all of the equipment installed and their cables. The console is designed to provide maximum access and to facilitate the duties of not only the operator, but also the installation and maintenance personnel. 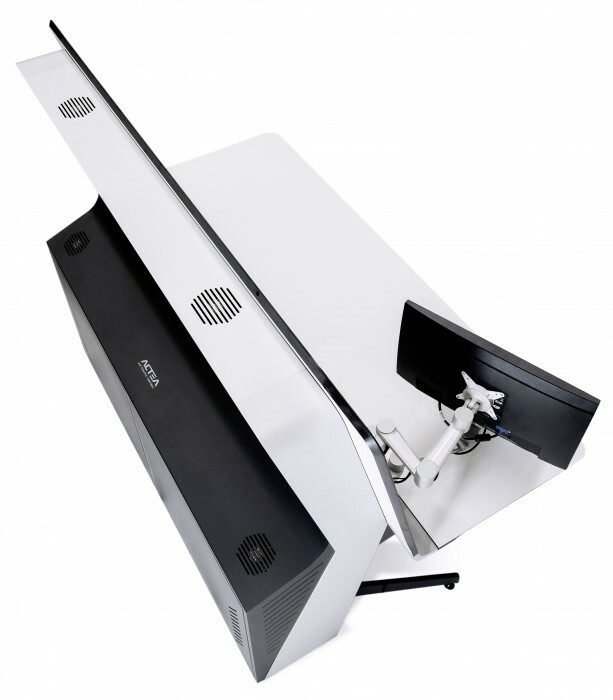 GESAB offers a console with high standard of security, comfort and functionality.